DIMENSIONS MADE THE LIST!!! 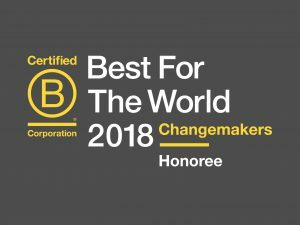 On Sept. 5, 2018, B Lab released the list of 2018 Best For The World: Changemakers. This list celebrates the companies tackling the hard work to make measurable, positive impact improvement. Each of the more than 2,500 Certified B Corporations declares, upon certification, to be committed to continuous impact improvement. And these rock stars have made tangible progress on that commitment. To succeed, almost all corporations will have to make significant changes to meet the social, investor and political pressures. The clock is ticking — and first-movers will have an advantage on the field. Examples from early experiments, from successes to failures, can serve as models to learn from. 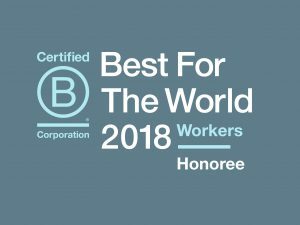 And we have (at least) 203 outstanding examples from within the B Corp community. Dimensions is one and we foster social, emotional, and psychological safety to enhance creativity, innovation and the well-being of your organization, leaders, and employees BTheChange!